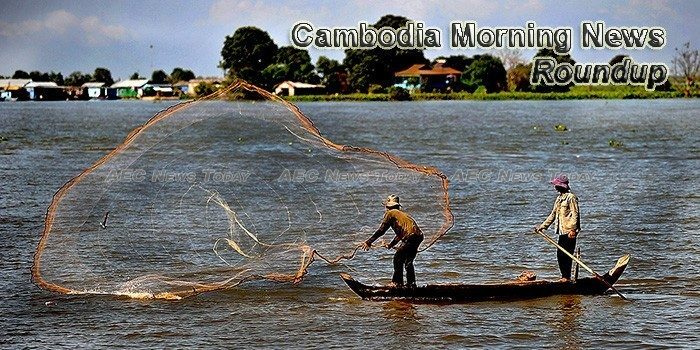 At the General Assembly of the Federation of Cambodian Rice Exporters, Minister of Commerce Pan Sorasak said that in 2018 China agreed to buy 300,000 tonnes of rice from Cambodia. Rice authorities unveiled the “Malys Angkor” rice brand, a new certification mark that encompasses a range of Cambodian fragrant rice varieties. Cambodia received over 5,602,157 international tourists in 2017, an increase of 11.8% compared to 2016, with Chinese tourists ranked the first, according to an official report released by the Ministry of Tourism on January 24, 2018. U.S. civil society groups have encouraged their Cambodian counterparts to continue to resist the ongoing government crackdown against political opposition and civil society that has seen NGOs and media targeted. China will hold its second military exercise with Cambodia in March focusing on counter terrorism, the Cambodian army said on Wednesday, in another sign of the Southeast Asian country strengthening ties with Beijing. Cambodia’s long-awaited access-to-information law – one that human rights experts say is critical for combating corruption in Cambodia – is in its final stretches, though observers yesterday expressed scepticism that the government would implement the law in the way it’s intended. Sean Pengse, a former government minister under the Lon Nol regime and an outspoken critic on Cambodia’s border issues with Vietnam, has died in France at 82. Suy Sem, Minister of Mines and Energy, told on Wednesday at the Electricity Authority’s Annual Meeting 2017 that 14,168 villages in remote areas will be fully equipped with stable electricity supply with reasonable price by the end of 2020. The two-month pilot program for Sustainability Map, a new software tool intended to help business owners monitor their suppliers and track sustainability, has proved successful, according to panelists at the program’s launch event yesterday.